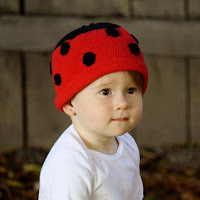 My latest cute accessory for my daughter is a Bachik Ladybug hat. These super cute hats are hand knit by Balinese women from 100 percent cotton using environmentally friendly dyes. They use techniques passed down from generations to create an heirloom quality line that spans the color spectrum. The whimsical collection of hats are not only playful, they’re all-season, durable and comfortable. There are 20 adorable designs available but my favorite is the one I received: The Ladybug! I received the size XS for my newborn and it is still very large for her. Hopefully it will fit later this summer! Although the designs are super cute, the material is not very soft! It is a rougher material, but it is lightweight so it will be great for all year round! They are great for pictures and for wearing outside to keep your child's head warm! I absolutely love that these hats are all handmade and give jobs to needy Balinese women! Best of all, they are made with environmentally friendly dyes! Start an Armenian tradition with your family today and outfit your children with Bachik hats! Buy It: You can purchase the Ladybug Hat for $24.99 on the Bachik website. Bachik would love to offer a discount code, which is good for 20% off an entire purchase with free shipping! Just enter the code "RSreader".